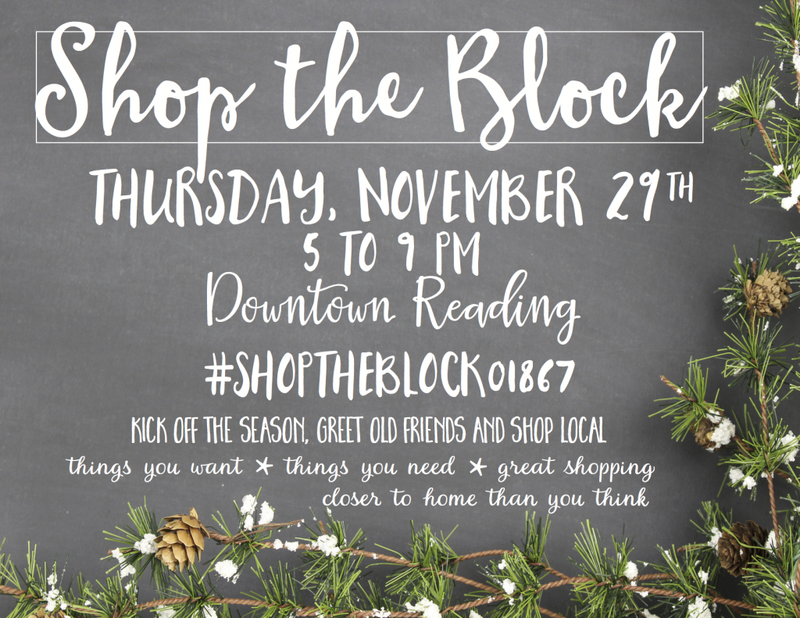 Now in its 16th year, Reading’s Shop the Block will kick off the holiday season on Thursday, Nov. 29th. Many Reading businesses will open their doors from 5-9 pm that evening in an effort to encourage residents to spend their holiday shopping dollars close to home. The Shop the Block initiative began as an effort to encourage shoppers to forgo malls and online stores and keep their dollars in downtown Reading. Shop the Block is intended to promote awareness of Reading as a shopping destination offering stylish, affordable things, including artisan-designed accessories and wearable art, home decor items, gems and semiprecious-stone jewelry, wine and gourmet delicacies, glassware and pottery, and clothing, accessories and gifts for children & four-legged friends– many of them one-of-a-kind. This shop local effort serves to remind shoppers of the importance of supporting local businesses to create a vibrant downtown shopping district. Shoppers are encouraged to grab a bite to eat at one of Reading’s numerous restaurants and begin their stroll along Main & Haven Streets. 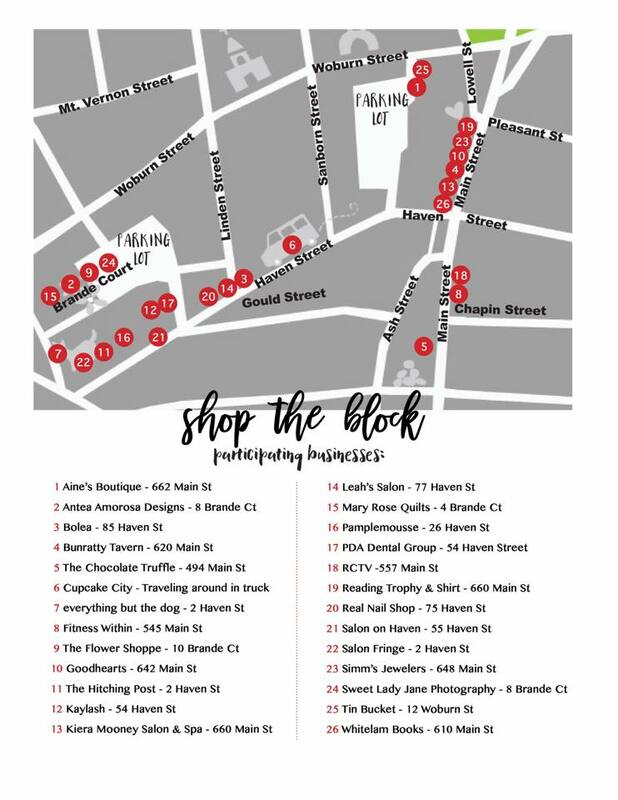 Participating businesses, many of whom are offering exclusive Shop the Block specials, will be designated with a festive red bow on the door. New this year will be Shop the Block reusable totes available for purchase for $5 at participating businesses while supplies last. Proceeds from the sale of these bags will be donated to the Reading Food Pantry. Shop the Block will take place Thursday, Nov. 29th from 5 to 9 p.m. in downtown Reading. Make it a Girls Night Out, Date Night or neighborhood event – just come downtown for a fun evening! For updates, please check the STB Facebook page, Shop the Block Reading Mass.